Flat roof installations that don’t penetrate. Ballast wall mount system, Concrete tile on Styrofoam Click to enlarge. Concrete tiles covering the wiring. Click to enlarge. Back side of Ballast roof. Making it look modern on a beautiful structure. Click to enlarge. White roof paint, No sounds in the summer, 10Kw system Click to enlarge. Solar Panel system with wire protection. Click to enlarge. 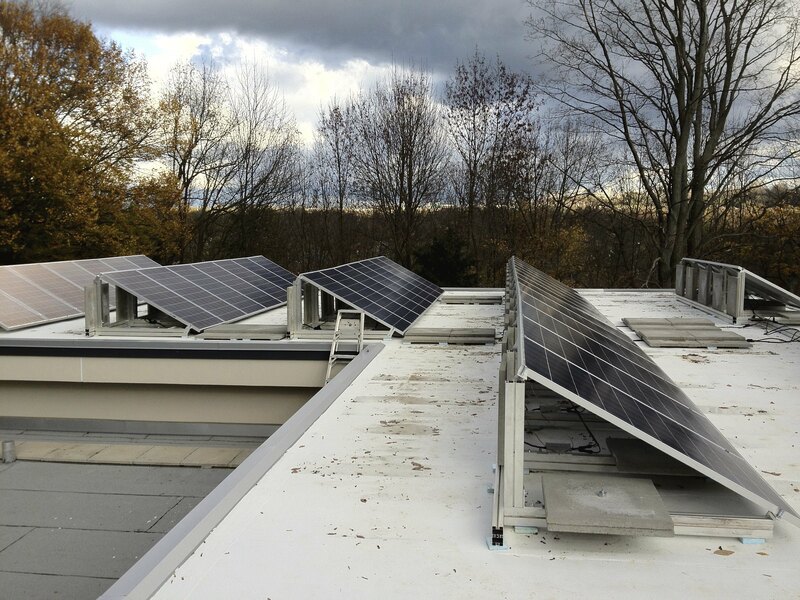 Sunfish installs Solar panel systems on almost all types of roofs. 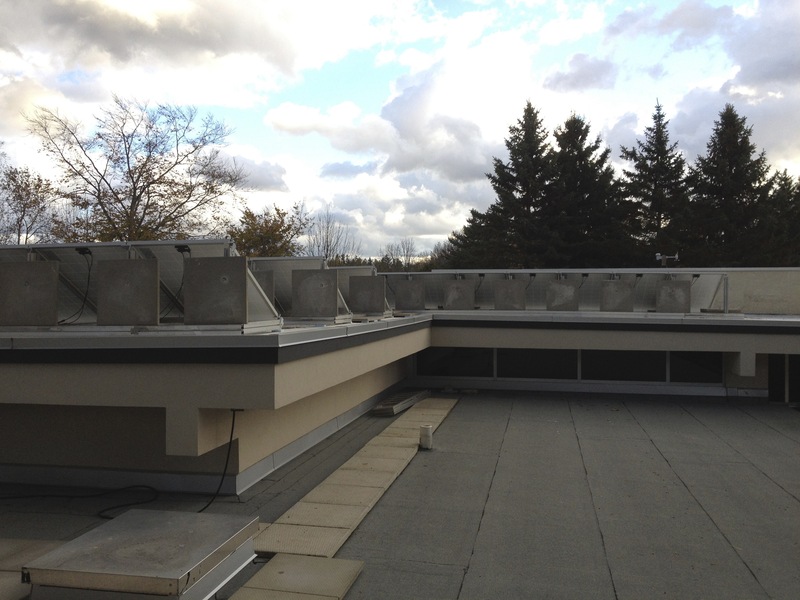 Here are a couple of systems that don’t penetrate the roof membrane. I use foam sheeting to place the ballast down. This gives the roof a gentle touch. I want to protect the roof. Foam seams to grip both the concrete and the roof to lock everything in place. Customers like the clean look of the system also. If there is a wire run we protect it with concrete tiles, because if an eager snow clearing customer starts chipping away… the wires need extra protecting. We have also painted the roof white. This improves the protection even farther. The white roof paint along with the panels provide a cooling effect on the roof. This does a couple of things. First; some flat roofs make noise in the summer as the roof heats up. Wall mount roof ballast solar panel system 10 Kw. Click to enlarge. Noise is movement in the structure. Movement is wear. Wear may lead to aging and a leak. Second; A cool roof in the summer means the air conditioning doesn’t have to work as hard saving you dollars! ‹ Understanding a Net Metering bill.